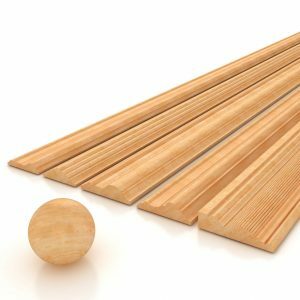 ASA Builders recent release of our Asa#3 Moulding Line brings to market a highly desired selection of Poplar moulding for use in many applications. We are proud to offer a massive selection of trim profiles, one of the largest in southeastern Michigan. Everyone from interior designers to homeowners seeking to enhance living areas are interested in a large selection of moulding and trim profiles to complement the existing space. ASA Builders stocks trim for doors, doorways, stairs, ceilings, and flooring. We help customers find the right mix for their taste. If you are designing any interior living space, chances are you have come across floor and ceiling mouldings as an option to spruce things up. These wooden panels add depth to rooms and inspire elegance. A plain room is an excellent canvas for you to unleash your creativity. As with most projects, think about how limitless color combinations can be blended with these design elements. A lively mix of paint, art, and trim is the perfect arrangement. Moulding is joined together in many ways, most of which provide a seamless finish, invisible to the eye upon completion. Certain varieties require a special caulking or cover to fully conceal joints. Uncut ends can also be modified to fit tight and off spaces. We can help you navigate the differences and find what’s right for your project. Stop in or contact ASA Builders to learn more.